The V&A Waterfront undoubtedly ranks as one of Cape Town’s top sights to see. Located at the heart of the Mother City’s working harbour, the area bustles with activity all year round and with so many attractions to participate in, it can be difficult to sample every restaurant and activity available for perusal. But it’s okay, that’s why we’re here: to let you in on all the hidden jewels of the expansive V&A, so that next time you’re passing through you can make a beeline for our select venues. Looking to experience culinary delights that combine a fusion of South African flavours? 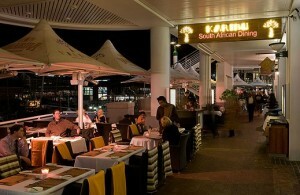 Then head to the stylish Karibu restaurant, located at shop 156 on The Wharf Centre. This eatery punts local flavours and taps into South Africa’s rich culinary history to create both traditional favourites and contemporary dishes. The menu is excellently compiled to highlight a variety of flavours. 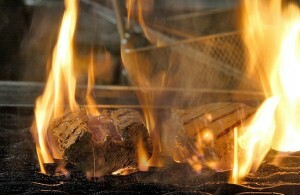 Their Traditional Braaivleis is flame-grilled and perfectly juicy, as is their Snoekbraai and Potjiekos offerings. Additionally, Karibu serves flavourful kasi (township) cuisine such as Puthu and Chakalaka as well as Cape Malay favourites, like aromatic koeksisters. What’s more, Karibu restaurant exclusively provides catering to their neighbouring business on The Wharf, Tigger Too boat charters. For those who don’t mind deliciously sweet frothy cocktails, I would definitely recommend trying the Amarula Cape Town Cocktail. Its perfect blend includes Amarula, Frangelico, fresh cream and two scoops of ice-cream, making it an absolutely heavenly drink.